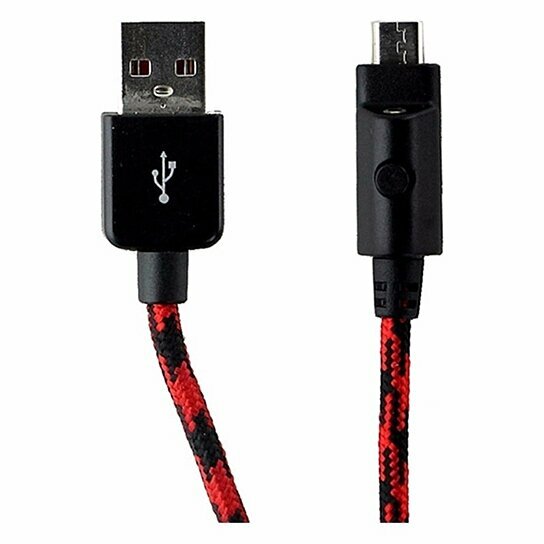 Verizon braided houndstooth design Micro-USB charge and sync cable. LED light on the connector that can be activated with the push of a finger. Compatible with: Micro USB devices.